Home » Food and Nutrition » Diet » High-Protein Diet: Can It Do More Harm Than Good? You may have read reports last week about a young mother in Australia who died because of a high-protein diet. Well, I’m here to tell you that you probably won’t meet the same fate. Meegan Hefford, a 26-year-old mother of two, was preparing for a bodybuilding competition when she unexpectedly fell ill and was found dead in her apartment. Can a High-Protein Diet Kill You? As it turns out, she had a very rare health condition called urea cycle disorder, which basically stops the body from breaking down protein properly. When too much protein is consumed and not metabolized, it can lead to fatal levels of ammonia in the bloodstream and fluid in the brain. So, there are two very important facts to consider here. First of all, Hefford had a rare condition. I’ve seen reports that urea cycle disorder affects anywhere from around one in 8,500 people to one in 35,000. And secondly, she was consuming a very high amount of protein. We know this because bodybuilders—particularly when they are getting close to competition—eat high levels of protein to compensate for calories they’ve lost from limited carbohydrates. 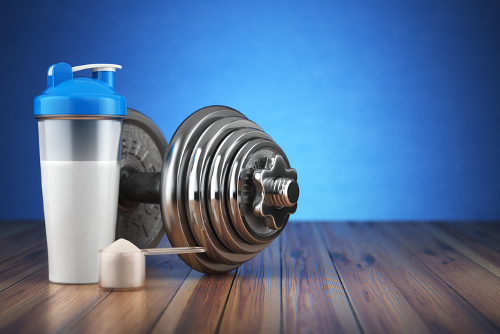 The victim’s mother also reported seeing dozens of bodybuilding supplements in her daughter’s kitchen, which were likely various types of protein and amino acids. So, although it’s impossible to know just what she was consuming and how much, we can bet it was far more than most people would ever eat. Of course, the supplement industry is unregulated, so it’s important for you to do your due diligence. It’s not uncommon to hear of people who’ve wound up in the emergency room because they took too many supplements, mixed the wrong ones, or got a bad batch. But dying from protein supplements? This is very rare. Unless the supplement comes from an untrusted source and is mixed with extracts or other supplements that would pose a risk. Pure whey, casein, vegetable, or animal protein supplements produced by trusted sources are typically safe. That said, the best sources of protein—like any nutrient—is from whole food. Hefford was killed by her rare metabolic condition. Because she had urea cycle disorder, the high level of protein she consumed proved fatal. So, unless you’re part of the 1 in 8,500 people who also has the condition, you likely have very little to worry about. People with kidney disease, kidney failure, or other kidney problems may also want to closely monitor their protein intake. And, although protein-restrictive diets may help treat kidney disease, there isn’t any evidence suggesting protein consumption impacts kidney function among healthy individuals. Anywhere between half a gram and one gram per pound of lean body mass is safe and effective to help you reach your goals and maintain health. Even going over a little will not lead to problems. But, it’s important to remember that the key to health is eating a balanced diet rich in lean proteins, leafy greens, fruit, colorful veggies, whole grains, and healthy fats. Martin W.F., et al., “Dietary protein intake and renal function,” Nutrition and Metabolism, September 20, 2005; 2: 25. DOI: 10.1186/1743-7075-2-25. Ah Mew, N., et al., “Urea Cycle Disorders Overview,” National Center for Biotechnology Information, June 22, 2017; https://www.ncbi.nlm.nih.gov/books/NBK1217/, last accessed August 18, 2017. “Bodybuilder mom dies from too much protein before competition,” New York Post, August 14, 2017; http://nypost.com/2017/08/14/bodybuilder-mom-dies-from-too-much-protein-before-competition/, last accessed August 18, 2017.